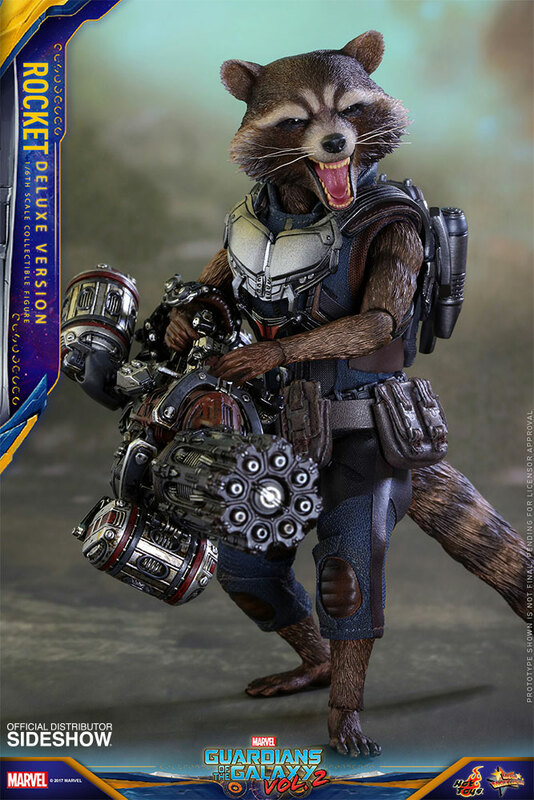 Rocket is incredibly impressive even more in person than in images !! high level of detail, beautiful colors, it is excellent on my desk next to my computer. 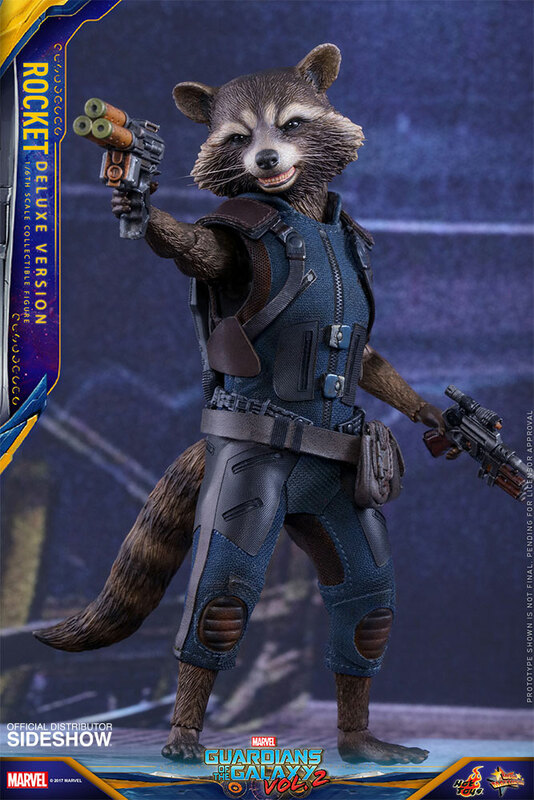 I am very tempted to buy another one to have it in box. Thanks sideshow and hottoys! 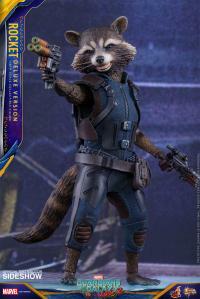 This is my second Rocket figure as I have the first one from the first movie. 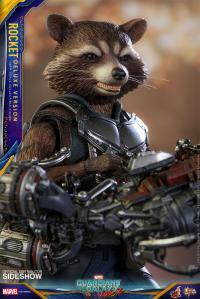 It is highly detailed and a great figure. 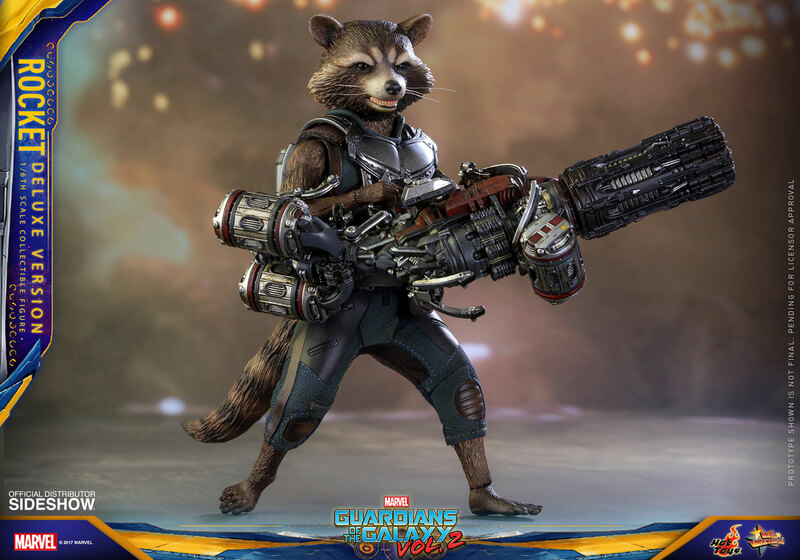 Love the weapons, just wish they were a little easier to put on. 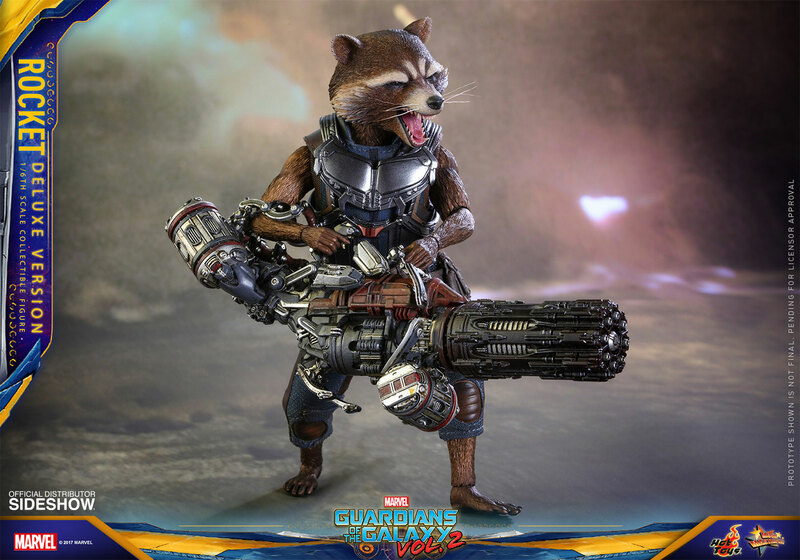 Can't wait to get the Yondu Deluxe to get the extra shotgun for Rocket! 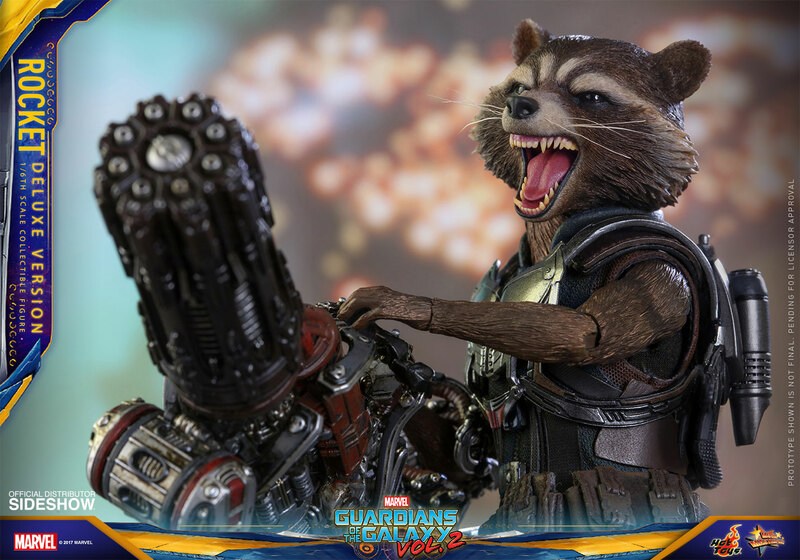 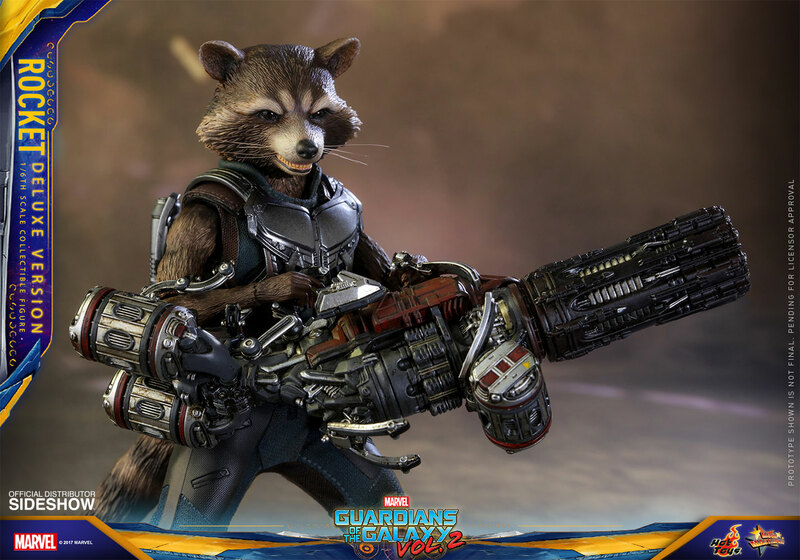 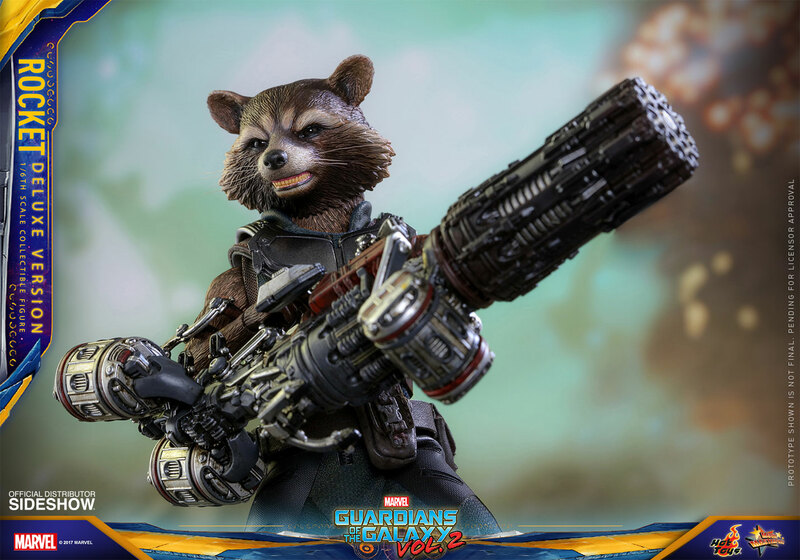 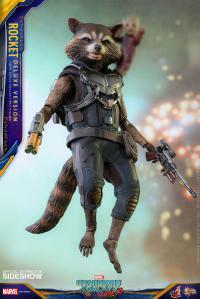 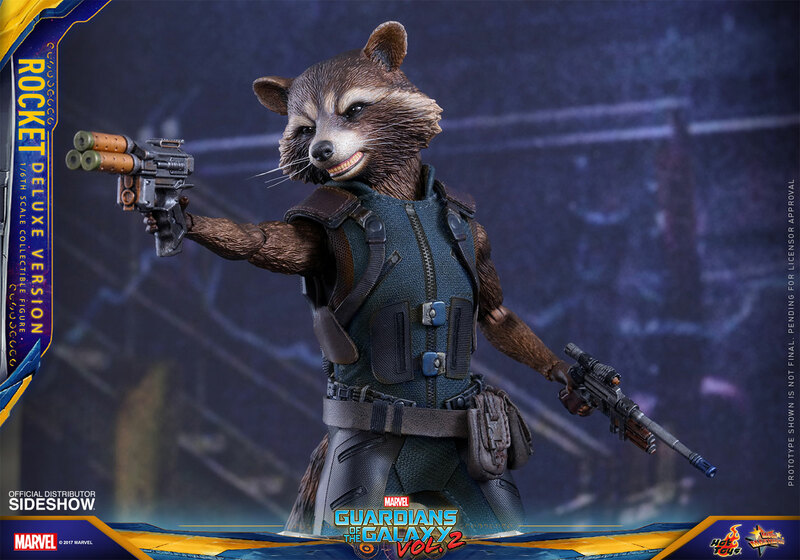 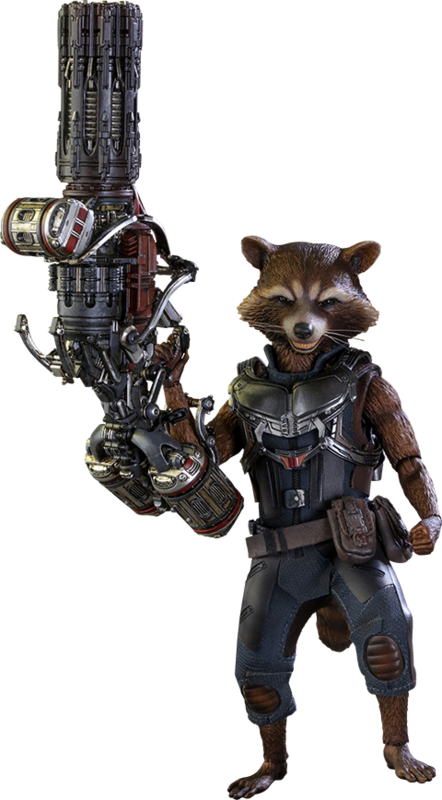 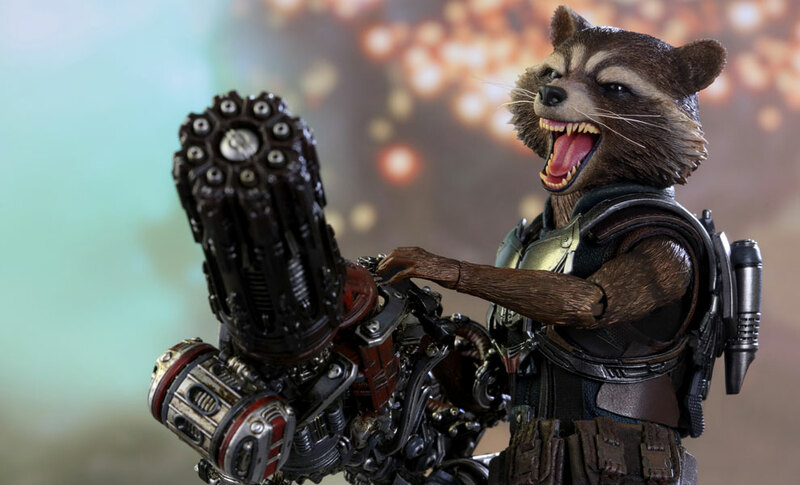 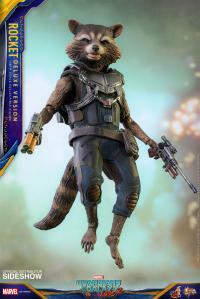 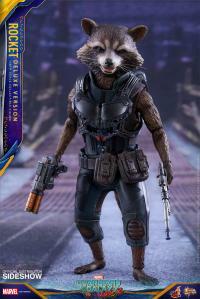 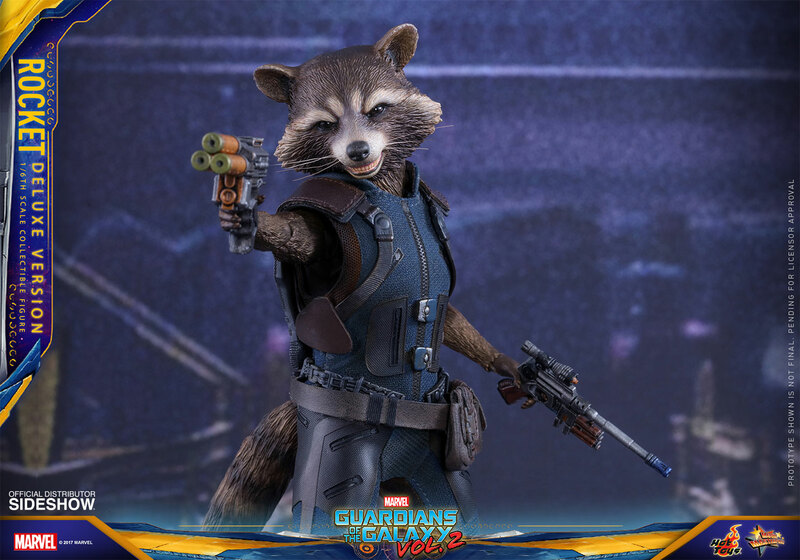 Rocket is so friggin cool and highly detailed! 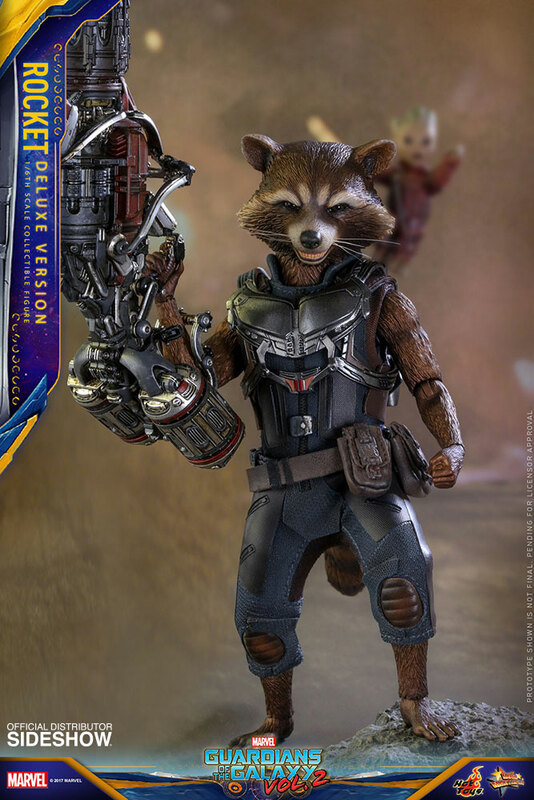 The accessories are a pain to get on and just right but when they are he looks incredible. 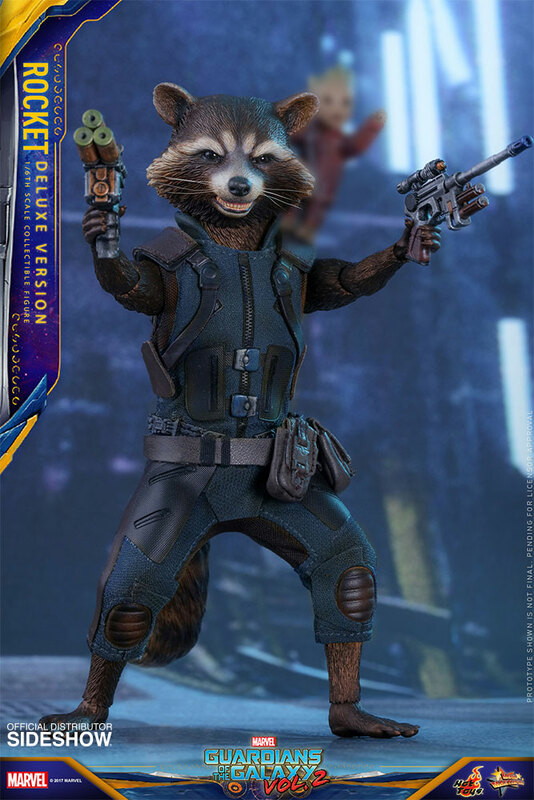 Couldnt be happier! 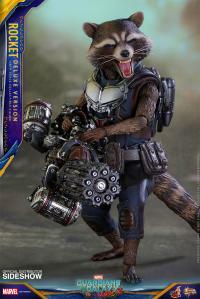 Hot Toys never disappoints. 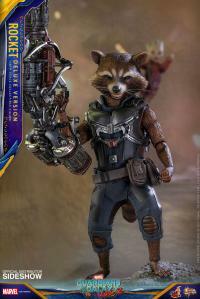 Received my Deluxe Rocket a couple weeks ago and it is even more impressive in person than these images. His whiskers are legit. 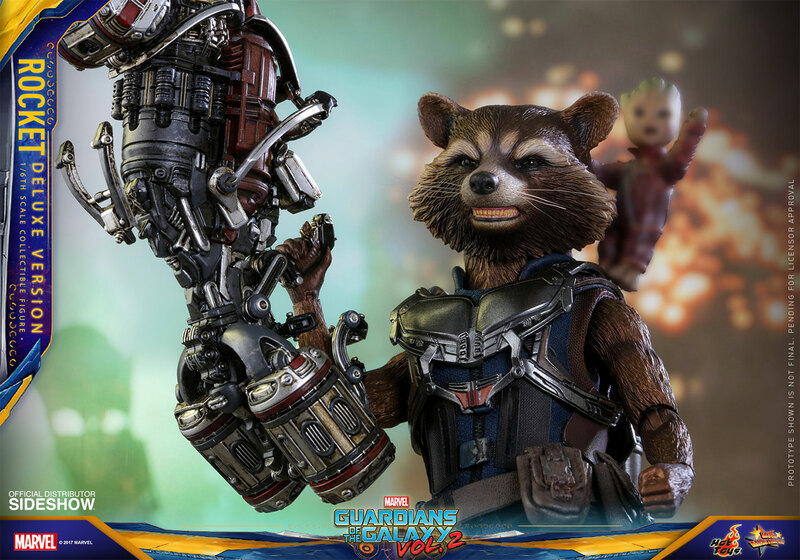 It's the little things that matter. 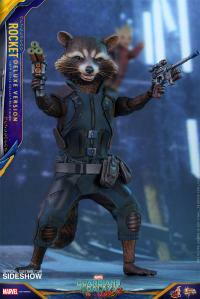 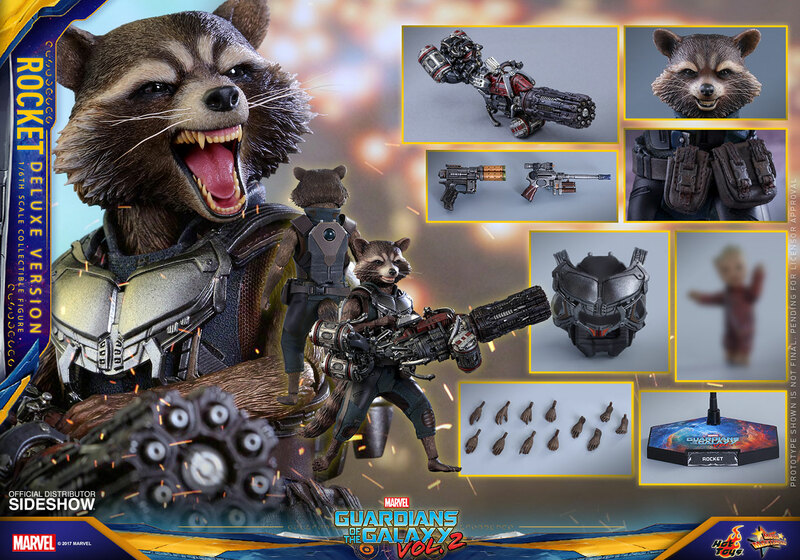 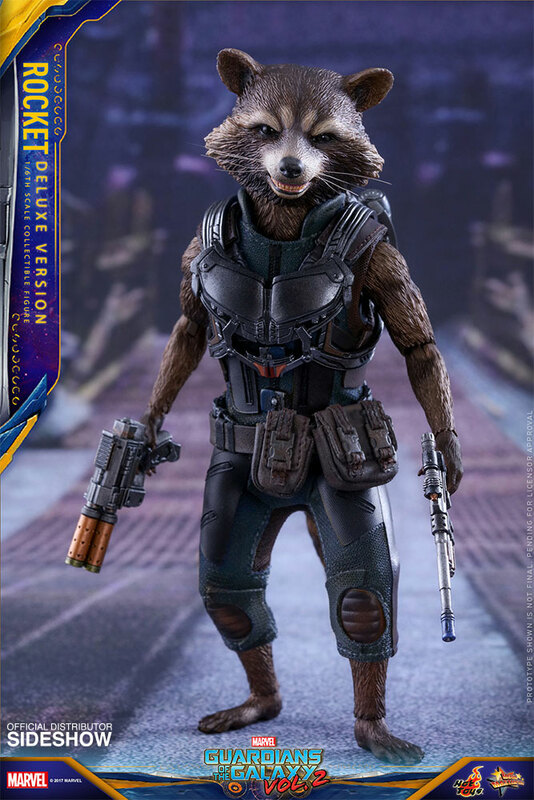 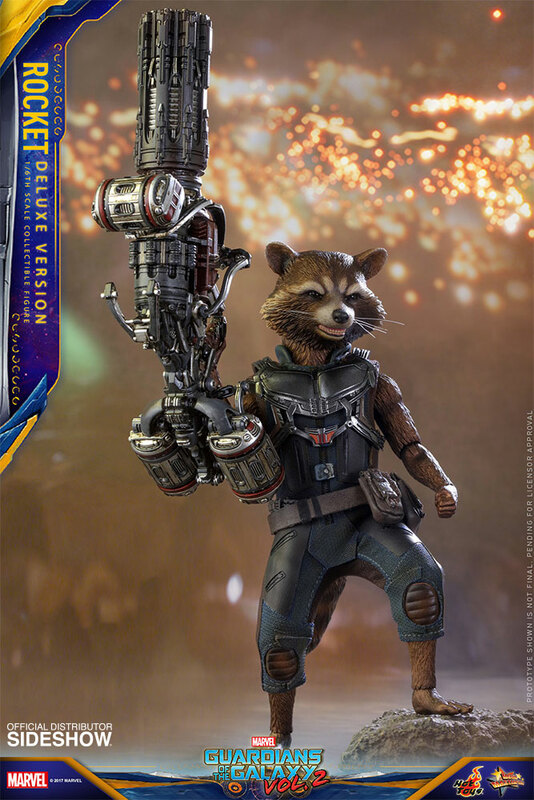 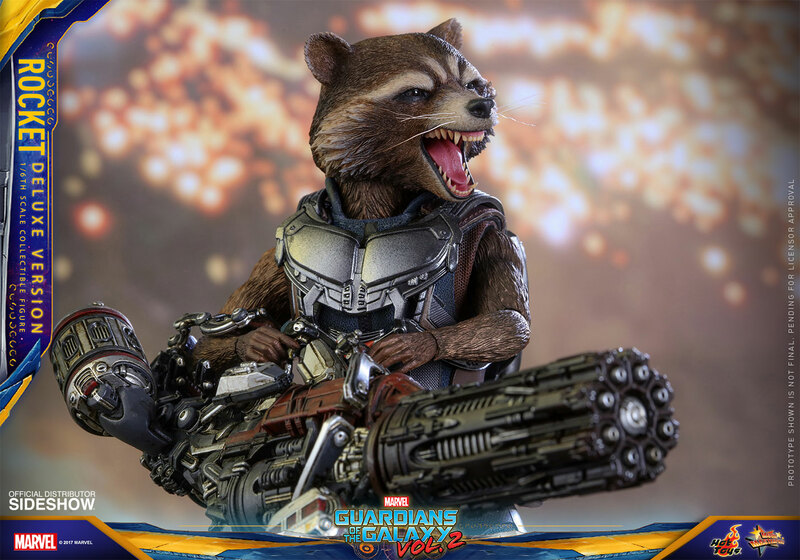 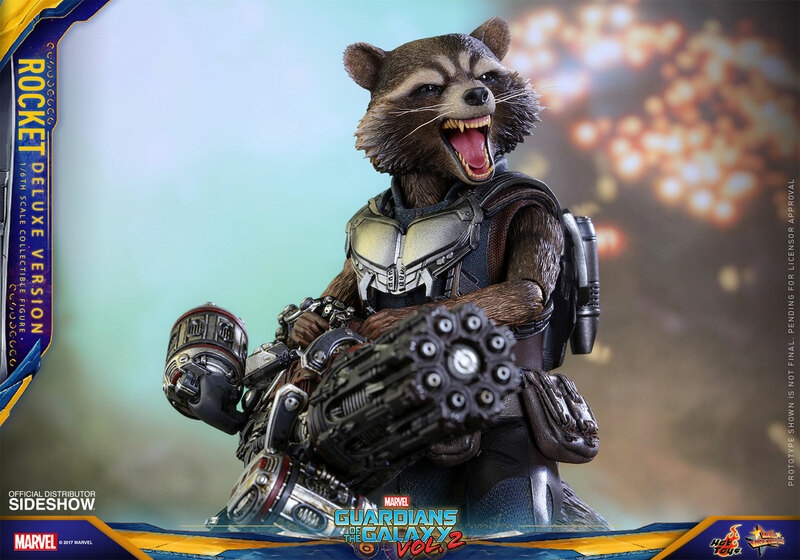 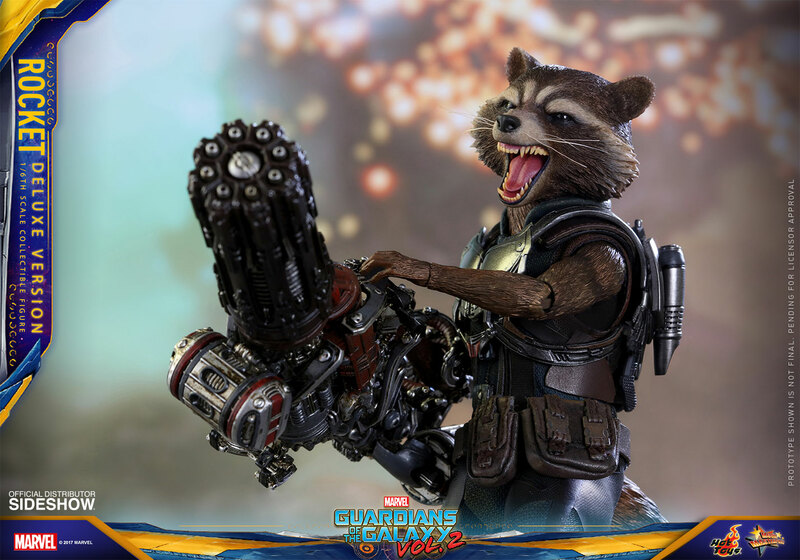 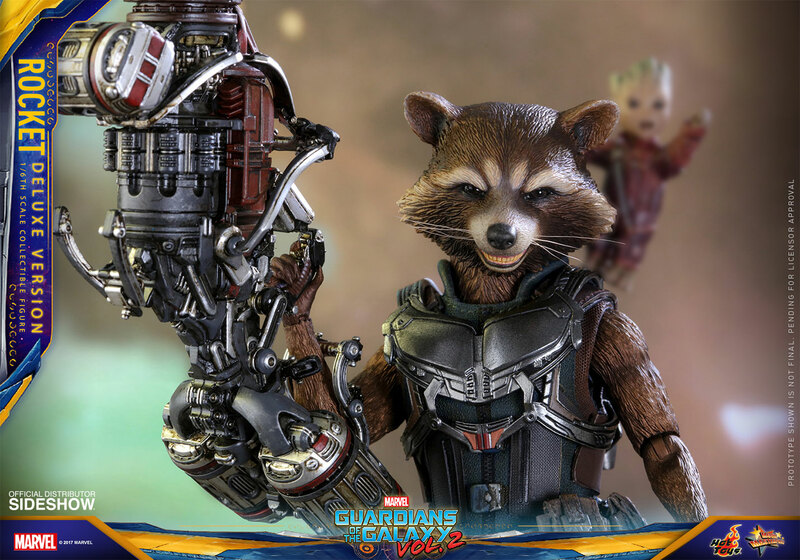 Rocket is a well detailed figure with plenty of accessories to give you countless posing ideas.